Cinematographer Douglas Thron is no stranger to the destructive force of wildfires; he’s spent decades capturing the aftermath such infernos leave behind. 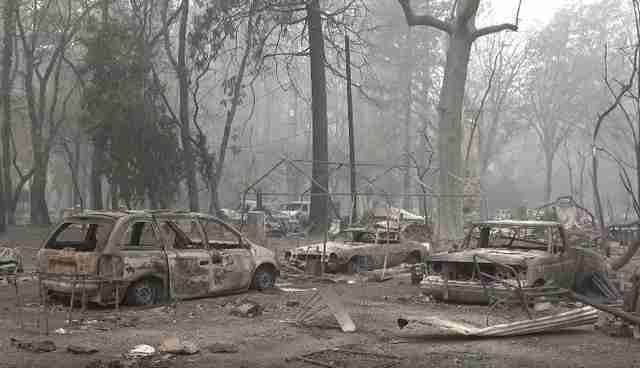 But nothing could prepare him for the scenes resulting from the California’s deadly Camp Fire. Amid the apocalyptic landscape, however, hope is not lost. Recently, Thron paired up with volunteer animal rescuer Shannon Jay to scour the ruins of Paradise, a town leveled by the Camp Fire, in search of any pets who may have survived. Jay has rescued countless cats from disaster zones over the years, and Thron came to learn what a labor of love that really is. Last week, Thron’s camera was rolling as he and Jay heard a cat’s faint cries for help emanating from beneath a burned-out truck. Terrified, her fur and paws seared by the flames, the cat had taken refuge under the vehicle — and needed to be coaxed to safety. After an hour of trying, Jay was able to get the cat into a carrier — a happy conclusion, and an emotional one as well. An exhausted Jay was moved to tears following the ordeal. Thanks to Jay, the cat at the center of this rescue is now safe. 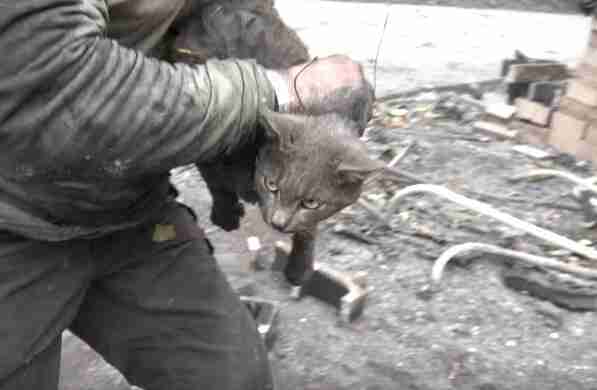 This survivor cat is likely just one of many still clinging to life in the ruins of the Camp Fire, so Jay doesn't linger on victories like this one too long. Instead, he keeps looking for more lives to be saved. For Thron, Jay’s passion for helping animals is a bright spot in a place where so much has been lost. And the cat Jay saved that day would certainly agree. 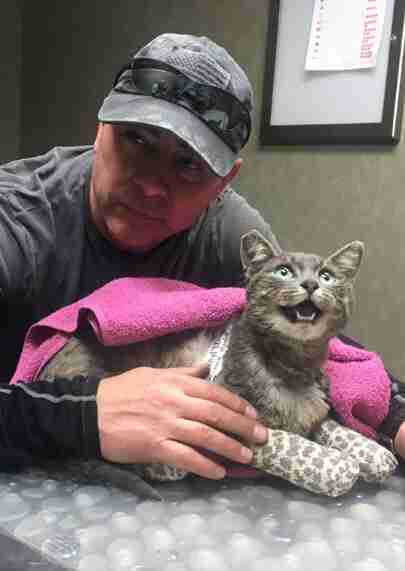 "She's healing and of the sweetest disposition — even purred for me," Jay wrote after a visit with the recovering kitty. "A giant potato sack full of thanks and gratitude to all the love and care shown to this little miracle. And a huge thank you to all the outpouring and support for me in this unprecedented rescue effort." To learn more, follow Shannon Jay on Facebook. You can support his work helping animals devastated by the fire by visiting his GoFundMe page.